Stop by the Sorenson CommUNITY Fair Tonight! 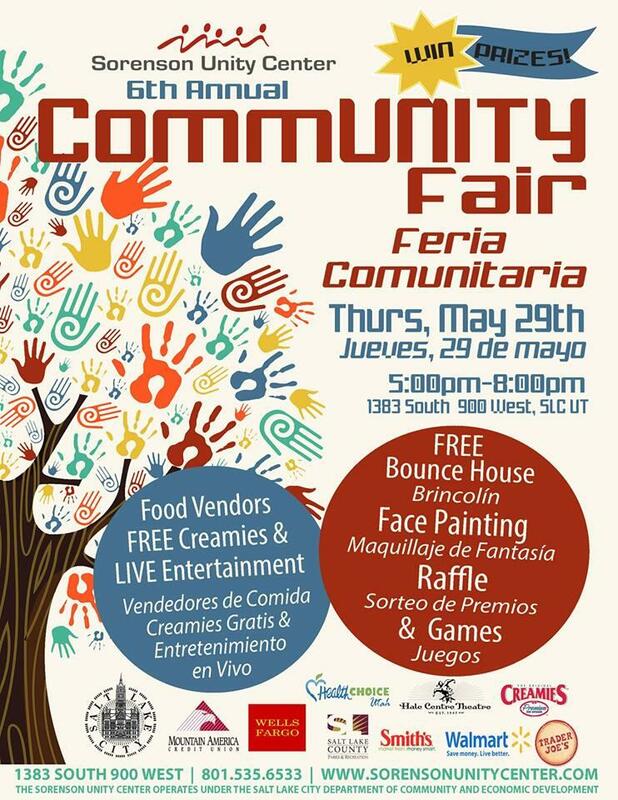 Join the Sorenson Unity Center for the 6th Annual CommUNITY Fair. Find out what your community has to offer with local vendors, kid’s activities, and live entertainment for the whole family. The fair features a FREE bounce house, sumo suits, obstacle course, games, face painting, and much more. Remember to enter our raffle to win some great prizes. Get some great food from local food vendors, FREE Creamies and first 100 FREE food vouchers while supplies last. And while you’re there, be sure to stop by the SLCgreen booth to say “hello!” and pick up your copy of our new guide to your curbside services! Thursday, May 29th from 5 – 8 p.m.